Submitted Photo Pictured left to right: Joe Newton, Ryley Depasquale, Ethan Yannie and Jeremy Bohn. 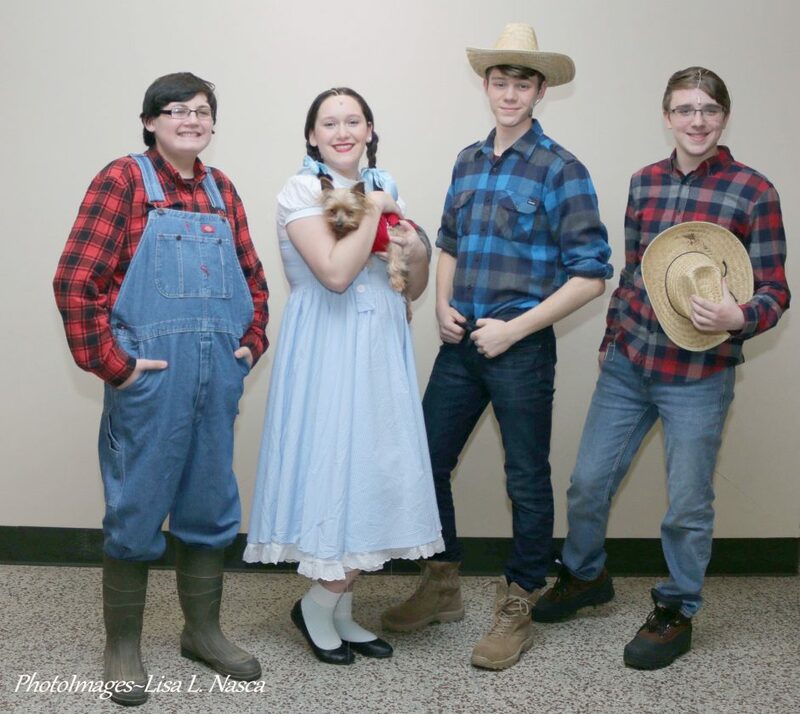 Dunkirk High School proudly presents “The Wizard of Oz.” Showtimes continue tonight at 7 p.m. and Sunday at 2 p.m. DHS chose this musical to pay homage to the 80th anniversary of the movie. Students in the musical were honored to have received a letter from the only surviving cast member ( a member of the lullaby girls) wishing them luck and telling them about her experiences. This year’s musical boasts a cast of more than 40 high school, middle school and elementary school children and promises to be a show that you won’t soon forget!